This game allows students to develop some intuition around fractions in a game environment. The Puzzle school is also developing their own version of this puzzle, which will have the added capability of teachers adding their own puzzles. These rods come in different colours corresponding to specific lengths, and can be used to create activities which will help students understand fractions better. For example, try and find how many green rods it takes to create a red rod. The only problem is the rods will all end up being fractions out of 10. Cathy gives an excellent explanation of how she uses recipes to create a problem where students have to use equivalent fractions to solve the problem. This game is intended to teach equivalent fractions, and give a visual representation of different sizes of common fractions. The objective of the game is to move all of your horses from one side to the other, taking turns with an opponent attempting to do the same. 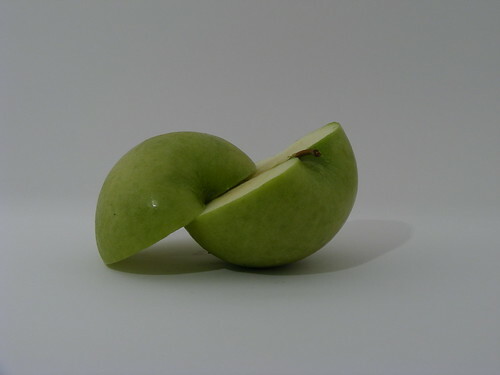 When I give my son a piece of an apple or cookie, or many other similar situations, I often use the language that includes fractions such as "half an apple" or "a quarter of an apple." This helps my son develop a model for what a fraction is based on things in his life with which he is familiar. I recommend this approach for teachers as well but make sure that these examples come across as natural sounding, rather than forced or contrived. Music is full of fractions! 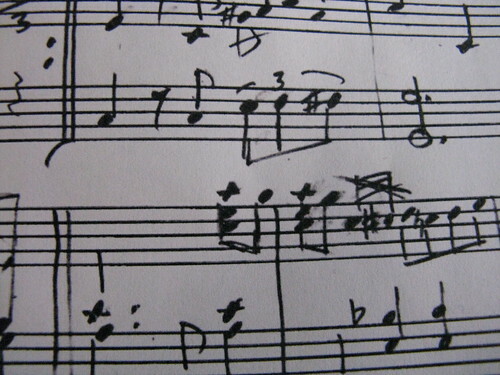 If you teach your students to read sheet music, or at least listen to music carefully to here the difference in the lengths of the notes, then they will be learning another representation of fractions. I could imagine an entire unit on fractions based on music. As well, musical notes made with simple instruments often involve fractions, so students could build a music instrument (using jars of water for example) and tune their instrument, which will hopefully help them notice the simple ratios that result. This website has a bunch of simulations that students can use to work through visual problems related to fractions. You could also, as a teacher, look at their simulations and turn them into activities students do in class. Cynthia Lanius has put together some resources here that teachers can use in order to develop lessons on fractions for their students. Some of the puzzles she has includes are fantastic. What are some other resources or ideas you have to help students understand conceptually what fractions are? We have plenty of examples of practice students can do once they understand, so I’m hoping to find resources which help students understand. I’m presenting this afternoon on technology use, and I thought I’d try and introduce a variety of tools to teachers (I’m aiming for 5 tools), and then let them brain storm ways the tools might be useful for them. Hopefully everyone will find at least one tool useful. The last time I presented on technology tools, I shared 30 tools in 30 minutes, which is enough time to see that a tool exists, but not enough time to see what it’s uses are. Here is my presentation from last year. My challenge to you as a reader of this blog. Share with me any really useful applications that could be used by a wide variety of teachers that aren’t already on this list. Bonus points if they are free. Oh, and it has to work on any platform. Update: Here is my presentation for this year. Let me know if you can think of a better application for me to include than the ones I have, and the applications listed in the presentation above. I’ve been thinking about some ideas about how we can humanize technology. Here are seven design principles I’ve got so far. Unfortunately it seems that most software violates one or more of these principles. Fix the technology, not the person. How often have you heard that someone requires training before they can use a particular piece of technology. Good technology does not require training, it is simple enough to use without a special operator’s manual. Stop designing software and hardware for the power user; develop it for everyone. Extra features in products make them less usable not more usable. If you must have additional features, make them opt-in features, and have them be offered as options when users search for help on how to use your product. There is no reason to offer the entire range of possibilities in a buffet style menu. Offer the minimum functionality, and expand it as necessary, when prompted by the user. Your technology should solve problems not make them. Before you offer your product to other people, make sure that it solves a problem of some sort (even perhaps a problem that not everyone knew existed) and that it is not going to introduce any new problems through it’s use. When technology fails, it can be catastrophic. Unfortunately, error messages from technology are often missing, or cryptic at best. Disconnected in your phone call? Your phone should say "call disconnected." Website is broken? Give us a human readable reason why it won’t it load, and if your program doesn’t know why it won’t load, be honest! Avoid language in these descriptions that would be confusing to an 8 year old. Trouble-shooting to figure out what is wrong shouldn’t take forever. You designed the product, you should be able to figure out how it can go wrong, and how to let people know what to do when it does. The designer of a tool must use it. Ever use a piece of technology and wonder why it was so broken? The problem was that the person who designed the product never used it in their day to day life. The reason why Gmail is so good is that it is used by its developers. When someone suggests that your product has a problem, take the time to listen to them. Be open to the possibility that your product isn’t perfect and can be improved. Everyone should be able to use their technology. If that is not possible, design an alternative for whom the modality of your product doesn’t work. Your innovative video platform for education isn’t very innovative for people who are blind, it’s useless. After reading Bruce’s post this morning about finding the area of a leaf, it occurred to me that this could be solved using calculus. The basic project would be for students to collect some leaves, trace them onto graph paper, determine through modeling the equations that correspond to the edges of the leaf, and then use integration to find the area as exactly as they can. 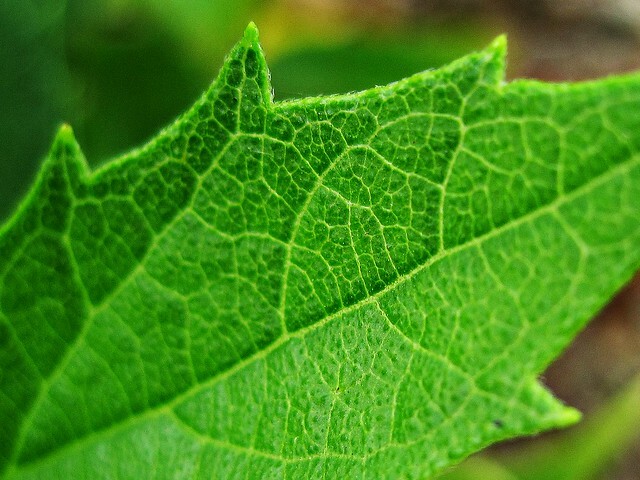 Students could then confirm their answer works by splitting the area of the leaf into smaller shapes and estimating the total area without calculus. As an added bonus, students could all choose the same kind of leaf, pool their results, and use some statistics to determine the total area of the leaves in a park, or on their street.